On behalf of the Twinsburg Athletic Boosters (TAB), the Executive Board would like to extend the invitation to join, or renew your membership with us. 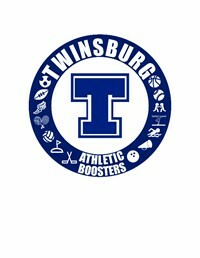 TAB works to positively promote Twinsburg Athletics at both the High School and Middle School level. A successful program carries pride across the school system and community. TAB provides our members and student-athletes opportunities for volunteerism and engagement in local events that encourages a sense of pride while raising funds to support our athletic programs. Nominations are open for the Tiger Hall of Fame. Be sure to get your applications in by mid September for inductions during the Homecoming Game in October. Each year TAB provides funding for our Student-Athletes and Athletic Programs. TAB sponsors Senior Banners through Venditti Studios that are displayed each season. After the season, seniors are given their banners to remember their time as a Twinsburg Tiger. In 2016 TAB purchased new equipment for the High School and Field House wieghtrooms to benefit all athletic training programs. Equipment specific to support our female athletes as well as male athletes was identified by the coaching staff and approved by TAB membership. TAB provides T-Shirts to any varsity athletic program the league championship as well as, T-Shirts for state qualifiers. TAB sponsored Homecoming float kits for each class to decorate a homecoming float for past 2 years since parade was re-instituted. TAB provided housing of floats and members donated their houses for the decorating of the floats. TAB provides flowers for Senior Night festivities. TAB purchased blow up Tiger Head that is diplayed in outdoor activities. TAB provides a travel allowance for all state qualifiing programs to help defrey the cost of transportation and meals during state events. Members meet every second Monday in room E104 at Twinsburg High School at 7PM. Meetings last about an hour and we look forward to your representation at the next meeting. TAB has several volunteer opportunities throughout the year that requires the support of our members and our student athletes. Students are required to obtain volunteer hours for THS graduation. TAB provides several opportunities for all students to exceed your volunteer hours each year. TWINSDAYS: Twinsburg gains world wide recognition for the largest gather of twins. Each year Twinsburg Athletic Booster and Student Volunteers manage all of the parking and ticket sales for Twinsdays. TAB members staff the golf carts that transport twins and attendees to and from all of the parking lots. Look for our student Athletes, Coaches and Parents who staff the parking lots to guide attendees and collect funds for the TAB General Fund. Our Student Athletes, coaches and parents staff the tickets sales and collection stands at Twinsdays gate. TAB WRESTLING TOURNAMENT: The TAB wrestling tournament takes place in Feb each year and has risen from 7 schools to 28 participating schools this past year with a waiting list. The success of this program promotes TAB across the state of Ohio and requires volunteerism from our membership and students to make it a success. TAB provides Award Ceremony and Awards. TAB staffs food court for 2 day event. CONCESSIONS: In 2017 TAB will Open Concessions staffing the home side concession stand. Look for volunteer and grand opening information coming soon. TAB also staffs the indoor concessions split with Band Boosters.